When you have been injured either physically or financially, you need to call an experienced attorney. Even the most culpable parties may be reluctant to pay up. That’s why you need to demand compensation with the help of Kepple Law Group. Our civil litigation lawyer in Pekin, IL will advocate on your behalf to get you a fair deal. 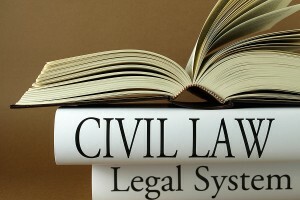 If you would like more information about our civil litigation services, call us at 309-282-1545 today! How Do I Start a Civil Lawsuit? Most civil lawsuits begin with one party causing damages to the other. This can be an injury to the party’s body or property. An injured party can request that the other side cover the expenses caused by the injury, but if they refuse, you should file a lawsuit. This is where a civil litigation lawyer in Pekin, IL comes in. The first step in filing a civil suit is to meet with an attorney for an initial consultation. This is a short meeting where you and the attorney discuss the facts of the case and decide how to move forward. Make sure to bring important documents relating to your case with you to your appointment. You can schedule your free consultation by calling our office at 309-282-1545. We are a team of highly qualified attorneys that are here to assist you. While our firm’s focus is bankruptcy and real estate, we do offer experienced legal guidance in other areas as well. We are open and honest with our clients and are dedicated to providing the advice and guidance you need to navigate through this difficult time. If you would like to schedule a free, no-obligation consultation with our civil litigation lawyer in Pekin, IL, contact us online or call us at 309-282-1545. We are happy to assist you with your case!